- Harvest 00-05 days after sowing. - Flower medium size yellow coloured. 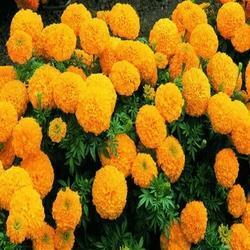 Our respected clients can avail from us a quality proven range of Marigold Seeds. 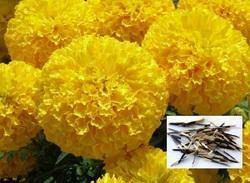 Pure African marigold(Tagetes erecta) seed. Strong stem, bushy plant & excellent branching habit. Plant height 90-110 cm. early maturing, double flowers with 6-8 cm diameter. Very compact and orange color of flower, good tolerance to disease, excellent flower setting & structure. - Strong plant with good branching Habit. - plant height is 80-85 Cm in long day . - plant Height is 50-55 Cm in Short Day.